A Piece of Art or an Overpriced Pen? 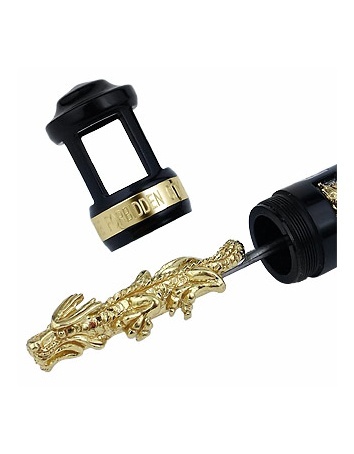 I was perusing the Internet the other day and stumbled upon this pen. 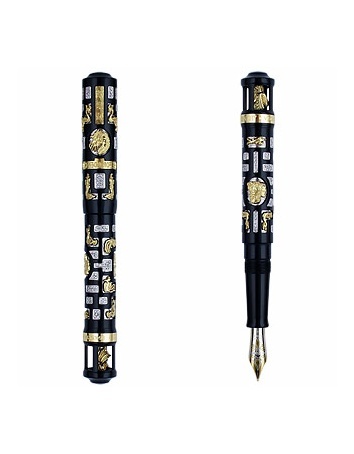 It is beautiful and made out of Gold and Diamond by Visconti in Italy and is a limited edition. It is also £35,850 quid! Not the normal price I expect to pay for a pen! But with the rise of the super super rich continuing to grow and the ever increasing gap between poor and rich widening through out the world this pen just seems like a very overpriced waste of money to most. The super rich could argue though that with interest rates at a record low for years and the western world suffering the worst economic downturn seen since the 30’s that this pen is a wise investment. Being made out of Gold where prices have rocketed over the past year and are constantly hitting new highs it could see a better return on investment in a few years. None the less a pen that is most defiantly out of my price range, and 99% of the world, but I can still appreciate the craftsmanship involved in creating it, a pen that is a work of art in its own right and one you defiantly don’t want to loose!